B. Thomas (Arlington, Texas, United States) on 12 May 2018 in Animal & Insect. 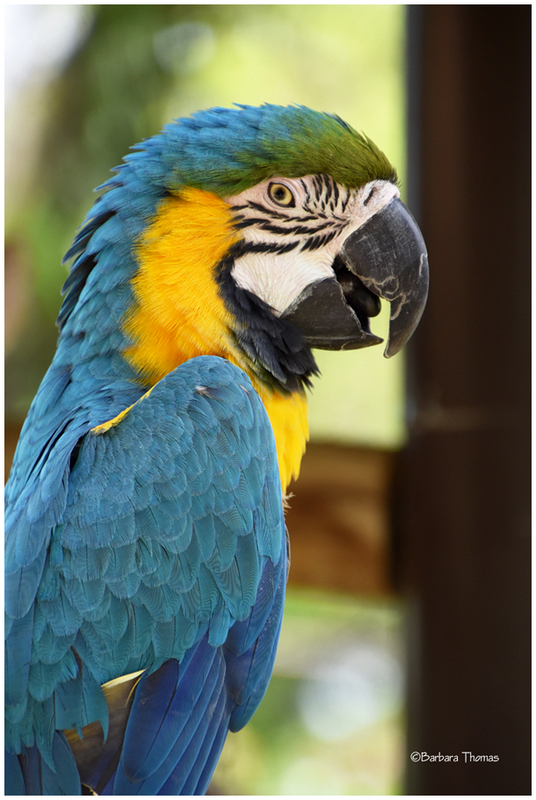 Parrots come in a variety of bright colors, mostly made up of greens, reds, blues, and yellows. Yes, parrots have that 'knowing' look in the eye. A guy often brings a parrot into a cafe I frequent and it sits there on his shoulder eyeing the activities and watching the crows outside. Superb portrait and capture of his look ! Great portrait! Good composition too. A beautiful portrait of this colorful guy.